It is that time of the year again when people in India await for their biggest league in sports. 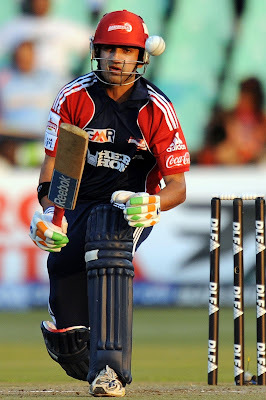 The month of April brings with it the most enthralling mode of entertainment in the form of "Indian Premier League". Cricket fans not only in India but across the globe enjoy cricket's most lavish league. Having started in 2008, IPL is into it's ninth season this year. This IPL will serve as the climax of India's T20 season which started in January. Let us see how last year's champion, Mumbai Indians look before this season. Mumbai Indians finished as champions last season after they defeated Chennai Super Kings by 41 runs in the final. Rohit Sharma was declared as the Man of the Match for his innings of 50 off 26 balls. It was MI's second title win. They had earlier won the IPL in 2013, where also they defeated CSK in the final by 23 runs. Both the titles have come under the leadership of Rohit Sharma who was handed the big role in 2013. Mumbai Indians after winning the trophy in 2015. The team was never short of big names but just couldn't stand on the paper value before 2013. Some of the most well liked names in cricket (Sachin Tendulkar, Sanath Jayasuriya, Shaun Pollock, Ricky Ponting etc.) have represented the side in the past but none has fetched results as good as the current side. It is perhaps the leader in Rohit Sharma that has brought the best out of every player. The team has also won the Champions League twice (2011 and 2013). Tim Southee - The 27-year old fast bowler from New Zealand has already represented Chennai Super Kings and Rajasthan Royals in the IPL. With the kind of experience he has, he can be an apt replacement for Lasith Malinga, who missed the ICC World Twenty20 2016 due to an injury and his participation in the initial stages of this edition is still on hold. Jos Buttler - In what will be his maiden IPL season, the 25-year old wicket-keeper batsman from England was picked after a close contest with Kolkata Knight Riders. Trevor Bayliss, England and KKR coach, who was well familiar with Buttler's heroics couldn't sneak past Mumbai Indians in the auction. The lethal batsman can tear any bowling attack on his day. Nathu Singh - The 20-year old prodigy who plays for Rajasthan is looked as the future of Indian fast bowling. Krunal Pandya - Elder brother of India's latest sensation, Hardik Pandya, Krunal plays for Baroda. The 25-year old bats left-handed and also bowls a bit of left-arm orthodox. Deepak Punia - The 22-year old fast bowler from Bhiwani, Haryana plays for Services in the Ranji Trophy. Jitesh Sharma - The 22-year old wicket-keeper batsman from Vidarbha scored a T20 century against Uttar Pradesh in the Syed Mushtaq Ali Trophy earlier this year. Kishore Kamath - Having yet to play any first-class cricket, the 21-year old leg-spinner has impressed a lot of people in the Karnataka Premier League. 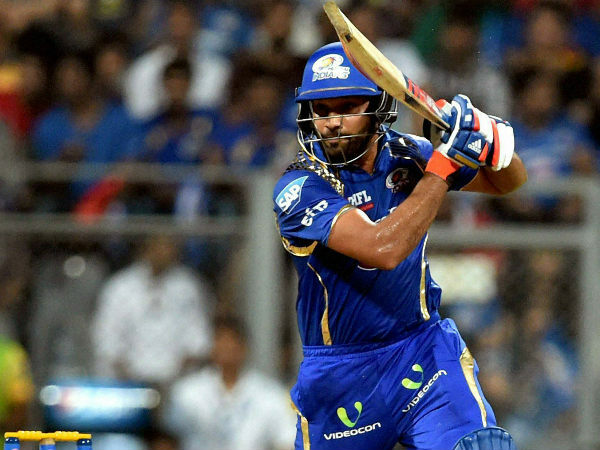 Apart from their new buys, Mumbai Indians will heavily rely on it's core from the last year. Rohit Sharma, Lendl Simmons, Parthiv Patel, Ambati Rayudu, Unmukt Chand and youngsters like Siddesh Lad and Nitish Rana comprise of a magnificent batting order. Though, all of them will not make the starting eleven, it is suitable to have a strong bench in such a long tournament. Rohit Sharma will have to perform the dual responsibility of captaincy and batting. The fast bowling department consists of Lasith Malinga, Mitchell McClenaghan, Machant de Lange, R Vinay Kumar, Jasprit Bumrah and the new buys in Tim Southee, Nathu Singh and Deepak Punia. What Bumrah learnt from Malinga over the past two years can be a fitting example for the likes of Nathu and Punia. Harbhajan Singh will lead the spin bowling department. To accompany him, will be Shreyas Gopal and Akshay Wakhare. The 22-year old Gopal, who bowls leg-spin, has already played for Mumbai Indians and is a regular member of Karnataka Ranji trophy team. Wakhare, 30-year old, plays for Vidarbha and bowls right arm off-spin. Not only this, Mumbai Indians make their case even more fierce with the addition of all-rounders. They have two most powerful hitters of the cricket ball in Kieron Pollard and Corey James Anderson. Along with their batting abilities, both these have it in them to bowl their complete quota of four overs. Hardik Pandya emerged as a genuine all-rounder for India over the past three months. He would want to make his international experience count in the IPL as well. The team also has 22-year old Jagadeesh Suchith, who bowls left-arm spin and can also contribute with the bat. The team will be further bolstered by the presence of eminent names in their coaching staff. Ricky Ponting, Sachin Tendulkar, John Wright, Shane Bond, Jonty Rhodes and Robin Singh constitute of one of best think tank of the tournament. MI will play the inaugural match of IPL 9 against Rising Pune Supergiants on April 9 in it's home ground, Wankhede Stadium, Mumbai. The support staff along with the players would be looking to keep it simple this year as well. If all the players do justice to their talent throughout the tournament, the team may well become the first team to win the IPL thrice!